Apparently, there are confused people on the LSU campus -- apart from those trying to figure out what the hell the Death Star (a.k.a. Gov. Bobby Jindal) is going to zap them with next. And these confused people happen to reside in the Tiger football program (not to mention the sports section of Baton Rouge's daily newspaper). Interestingly, none of them are Coach Les Miles. 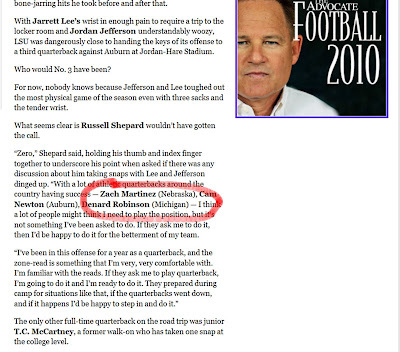 Nebraska's athletic quarterback is "Zach Martinez"? Who dat? The Huskers have a Zac Lee at quarterback, and they also have a Taylor Martinez. 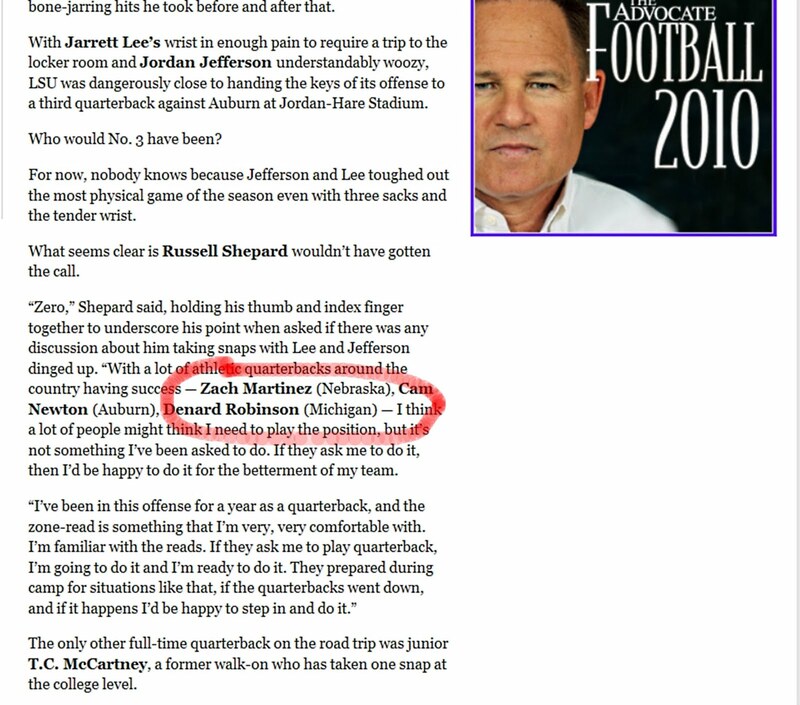 I assume Rueben Shepard was talking about (and the Advocate scribe was writing about) the Husker starter, Martinez. Whose jock strap the LSU quarterbacks are not fit to hold.